6. Check out my awesome goggles! 9. Make-up I did almost every day a year ago. 10. Golden tree bathed in sun. 11. Headskull glass, love it~! 12. From the Bonfire&Fireworks event. 16. Releasing all the stress! 17. In love with my new fake leather peplum skirt from Galstar. 18. Very satisfied with my new baked eyeshadow in Bark from elf. 19. What happens when I let my hair dry naturally and then comb it. It gets big. 20. Lovely order I got from Elf Cosmetics! 21. So satisfied with the blue in Coy and the baked eyeshadow in Bark. 23. Pretty shoes that I want! 24. Guess what my roommate is studying?! 25. Was finally editing firework pictures. 26. Lovely over-Knees from Ann Summers. 27. Belt from ASOS, totally in love with it! 28. To much work to do at one night. It was a loooong night. 29. Trolls served me coffee one morning. 30. Getting ready to fix my ombre hair! 31. Old outfit, coordinating blazer with shorts for the first time. 32. Say Hello to my new boots from SoYoShoes. 33. 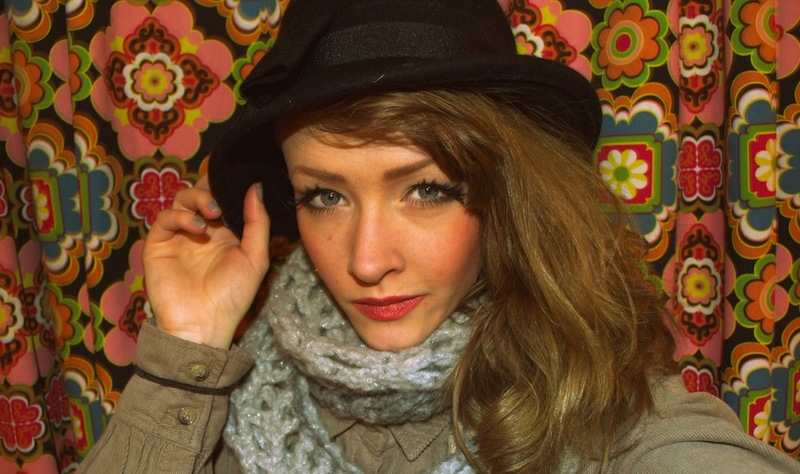 Big woollen scarfs, I love them. 37. Chocolate brownie drink. Because I can. 38. Because it was saturday! 39. From my Self Reflection post yesterday. 40. My new boots had their first trip outdoors yesterday! This entry was posted in Instagram and tagged Ann Summers, Boots, Coffee, Eye shadow, Fireworks, Galstar, Hair, Instagram, Life, Makeup, Morning, Outfit, Shoes, Shopping, Wolverhampton on 19/11/2012 by EdgyPop. Oh, right now I’m pretty much guilty in just partially paying attention to the class, and partially drooling on shoes. Which I’ve been drooling on all week. I just want them. It’s a total irrational feeling of want. Want, Want and Want. I’m such a shopaholic girl sometimes, although I’m mostly just “window shopping”. These overknees shoes are lovely~! I never dared to buy such long shoes because I’ve been fearing that I’ll look ever shorter wearing them. Hence why I want them in black, but I am not sure I dare too. 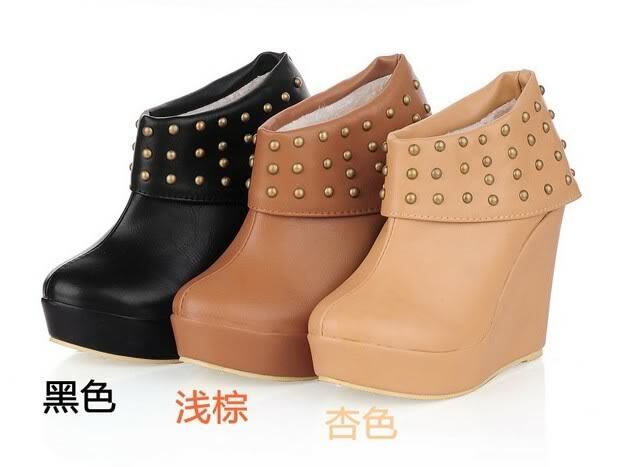 I also want these in black~! This is another type of shoes I’ve never dared to buy before. This time it’s because I’m scared that my feet will look too big and clownish compared to my tiny frame. But these pictures convinced me that may not be the case at all. These I'm absolutely sure I want in white~! Oh, all these lovely shoes.. What to do, what to do? This entry was posted in Fashion and tagged Ankle boots, Boots, Fashion, Footwear, Life, Shoe, Shopping on 09/03/2012 by EdgyPop. 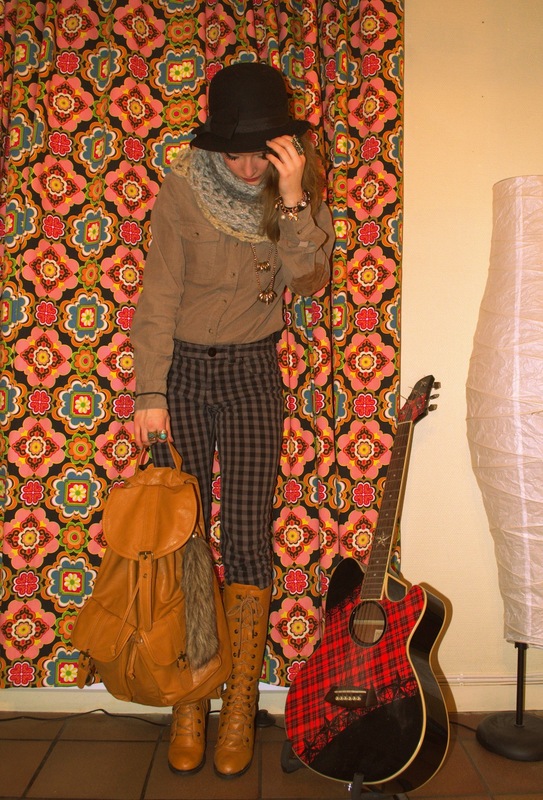 I love how my new bag match my boots so good, and I also adore my new hat. I always wanted a bit cuter and rounder hat, rather than those biiig shaper ones. Also nice to wear something else that my caps for once. The beige flannel shirt is really comfortable, I like the feeling of the fabric. Late night blogging huh? Going to bed asap! G’nite, sweeties. 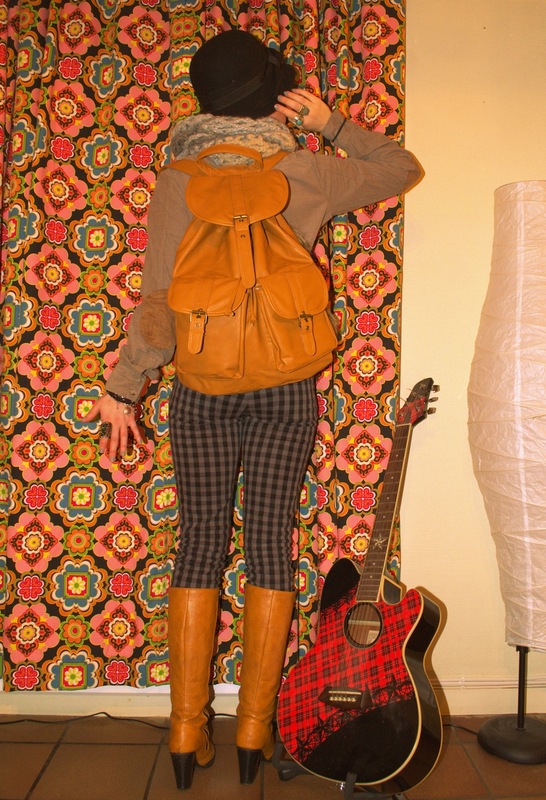 This entry was posted in Style and tagged Boots, Fashion, Flannel shirt, Hat, My style, Outfit, School bag on 18/01/2012 by EdgyPop. I got these 50% coupons I need to use up at Bik Bok. What to get? Have to hit the stores and figure it out, the coupons only last until 31st of October.. This entry was posted in Fashion and tagged BIK BOK, Blouse, Boots, Clothing, knitting, Shopping, Sweater on 29/10/2011 by EdgyPop. Yes, this cap have earned med that nickname. Just another late update on yesterday outfit. I love my mario cap although its a little bit to big on my head. It has also been a long time since I’ve worn my favorite grey top, I just love how lose and comfy it is! One of the best buys I’ve done from Galstar. I am realising I’ve should have purchased more denim shorts during the summer, I only got one and I want to wear it all the time. Un-fitted H&M shorts just aren’t that cool. I need more shorts that fits, doesn’t have to be denim, but who buys shorts during fall/winter seasons?!? This entry was posted in Style and tagged Boots, comfy, Galstar, Leopard pattern, Mario, My style, Outfit on 29/10/2011 by EdgyPop. I’ve been talking about my new shoes for a while now, to people who doesn’t live in Trondheim, like family and friends at home. I have just realised I haven’t posted pictures of them at my blog at all. Curious about my new Hong Kong/Chinese shoes? 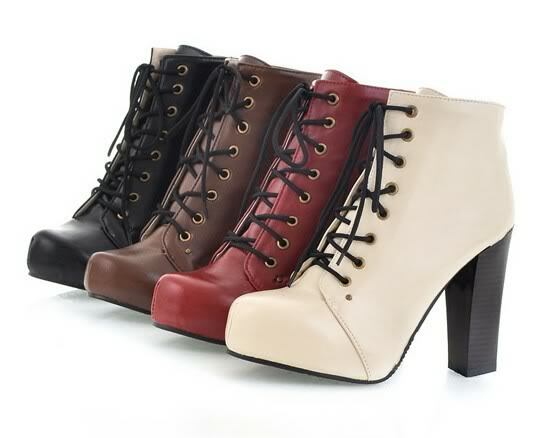 The caramel colored boots are lovely~! They smelled weird when I opened the shoe box, but the quality really surprised me. For around just 250NOK the quality is pretty good. The black ankle boots looks cheap and feels cheap. But hey, for only 180NOK, I don’t mind if they are broken within 3 months. This entry was posted in Style and tagged Boots, G-dragon, Heartbreaker (Choice37 Remix), Shoes on 06/09/2011 by EdgyPop. First day at school today, and the first impression is pretty sweet. The building is lovely, the people is sweet, and my classmates is friendly. First impression tells me that I think this is going to be a pretty much okay year. Talking about first impressions, I struggled for a bit trying to decide what to wear, how to do my hair, what kind of make-up style ect.. Because I would leave a first impression of myself too. In the end I went for both lenses and lashes and probably made people think of me as a make-up doll. This is kinda a sneak peek at my place, and yeah, please don’t min the mess around. I’m still not 100% settled here yet. Anyways, I’ve always wanted to match up my denim shorts and vertical striped tights. What do you think? I love it, although I think it would look better with ankle boots. Well, there is a pair that’s been shipped to me today. Can’t wait! This entry was posted in Life, Style and tagged Boots, First impression, Life, My style, Outfit, school on 22/08/2011 by EdgyPop.